Our history goes back to 1976, since the BUDOWNICTWO ELEKTROENERGETYCZNE "SELPOL" S.A. is the successor of the then established Zakład Wykonawstwa Sieci Elektrycznych (Power Lines Building Company) (ZWSE) in Łódź which continued its business operations until the early 1992. 1992 on the foundation of the ZWSE established was the Przedsiębiorstwo Produkcyjno-Handlowe (Manufacturing and Trading Company) P.P.H. "SELPOL" S.A. with private Polish capital. 1993 the P.P.H. "SELPOL" S.A. joined forces with the TKC Sp. z o. o. and Protel Sp. z o. o. to establish the Przedsiębiorstwo Budownictwa Telekomunikacyjnego (Telecommunication Construction Company) TELSEL Sp. z o.o., whose business was to design and build telecommunication networks. 1994 ownership changes in TELSEL Sp. z o.o. and change of name to ELKO Sp. z o.o. 1995 P.P.H. "SELPOL" S.A. acquired the majority stake in EUROPROJEKT Sp. z o.o. and via that company launched the design business. 1998 P.P.H. "SELPOL" S.A. established SELPRIM Sp. z o.o., whose business was to provide design and investment project management services. 1999 P.P.H. "SELPOL" S.A. increased the share capital of ENTECH Sp. z o.o. and acquired 100% of the shares. The object of the Company was to repair passenger cars, trucks and equipment, carry out automotive diagnostics, injection pumps diagnostics as a Bosch-authorised station, install automotive LPG installations (first in Łódź), sell fuels via its own petrol station, sell automotive parts as a Bosch-authorised wholesale, conduct wholesale and retail sale of automotive parts, wholesale of LPG installations (as an agent for, e.g. STAKO, TOMASETTO, LANDI RENZO), and sell second-hand cars. 2000 SELPOL PROJEKT Sp. z o.o. was established by merging EUROPROJEKT Sp. z o.o. with SELPRIM Sp. z o.o. and increasing the company's share capital. The P.P.H. SELPOL" S.A. acquired 100% of the shares in SELPOL PROJEKT Sp. z o.o. 2001 the Management Board of the P.P.H. "SELPOL" S.A. changed the Company's strategy and transformed the existing conglomerate into a power engineering construction and installation company and changed its name to the Budownictwo Elektroenergetyczne "SELPOL" S.A.
2002 "SELPOL" S.A. withdrew its capital from ELKO Sp. z o.o. in order to focus exclusively on the construction of high voltage and ultra-high voltage lines. 2003 SELPOL PROJEKT Sp. z o.o. acquired the design firm "Zakład Projektowania i Realizacji Sieci Elektrycznych Roman Gawęda (Electrical Networks Design and Delivery) and incorporated it in its structure. 2004 "SELPOL" S.A. established ENERGONET Sp. z o.o. headquartered in Poznań and acquired the majority stake in the Company. The Company's object: repairs and construction of 110kV electrical power lines. 2007 ISPOL-PROJEKT Sp. z o.o. was established by Iceland's Linuhonnun Consulting Engineers (currently EFLA hf.) increasing the share capital of SELPOL PROJEKT Sp. z o.o. and acquiring a 50% stake. 2007 "SELPOL" S.A. withdrew its capital from ENTECH Sp. z o.o. in order to focus exclusively on the construction of high voltage and ultra-high voltage lines. 2011 ownership change in ISPOL-PROJEKT Sp. z o.o. by increasing "SELPOL" S.A.'s stake to 90%. 2013 "SELPOL" S.A. withdrew its capital from ENERGONET Sp. z o.o. in order to focus exclusively on the construction of high voltage and ultra-high voltage lines. 1992 "SELPOL" S.A. launched the business of building high voltage grids. 1993 "SELPOL" S.A. started building fibre-optic ducts on electrical power lines applying ADL, MASS, OPGW, and ADSS technologies. 1996 - 2009 "SELPOL" S.A., for and on behalf of the manufacturer Schneider Electric Polska Sp. z o.o., provided servicing services on SB6 220kV and 110kV circuit breakers. 1997 - 2005 "SELPOL S.A., for and on behalf of the manufacturer Alcatel Optical Fiber GmbH Germany, provided servicing and distribution services for ADL technology as an ADL Service and Distribution Centre. 2000 - 2004 "SELPOL S.A., for and on behalf of the manufacturer Alcatel Optical Fiber GmbH Germany, provided services of manufacturer supervision over installation works on fibre-optic ducts in many European, South American and Asian countries. 2000 - 2008 "SELPOL S.A., for and on behalf of the manufacturer RAYCHEM Polska Sp. z o.o., provided products distribution services and insulated selected elements of 110/15kV stations. 2001 "SELPOL S.A. designed and installed one of the first SF6 switchgears from Schneider Electric Polska Sp. z o.o. - "110/15/6 kV ŁĄKOWA Power Station in Łódź". "SELPOL S.A. performed the first export contract 220kV line in the Republic of the Congo, in collaboration with Italy's Antonio Nadal Company. 2001 - 2002 "SELPOL S.A. built and modernised a 38kV line in the Republic of Ireland. 2002 - 2004 "SELPOL S.A., together with Iceland's Landsvirkjun, conducted research and development works on the construction of hydroelectric 1 MW power plants in Poland. 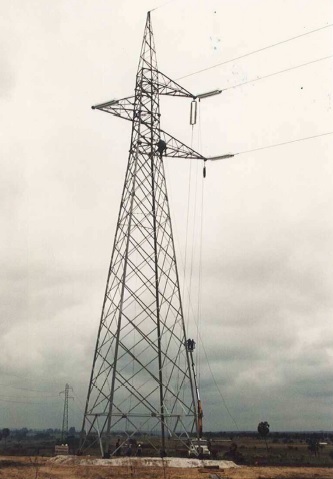 2002 - 2005 "SELPOL S.A. installed and modernised 63kV, 225kV, and 425kV lines in France. 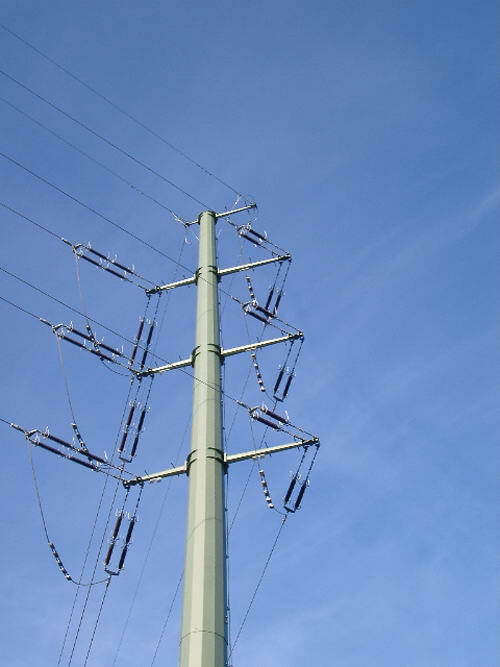 2002 - 2010 "SELPOL S.A., in collaboration with Corboline company, manufactured single- and double-track 110kV tubular poles. The poles were used to build approx. 100km of a 110kV line. "SELPOL S.A. and TRANSEL SAS (France) and Linuhonnun Consulting Engineers (Iceland) designed and later, between 2003-2010, together with ELTEL NETWORK Olsztyn and ZWSE Rzeszów Sp. z o.o., built a four-track 2x400kV/2x220kV Plewiska-Kromolice line - 32 km in length. 2005 - 2006 "SELPOL S.A. delivered construction and installation works on 420kV lines in Iceland. 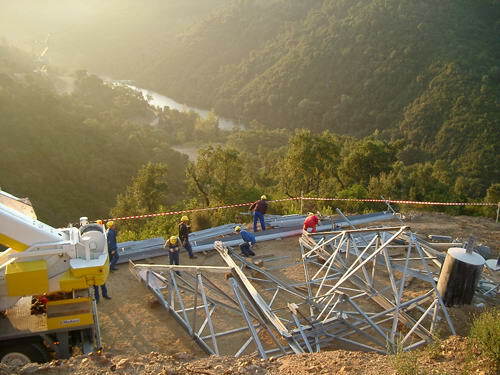 2005 - 2006 "SELPOL S.A. carried out construction and installation works on UHV and HV lines in France. "SELPOL" S.A. together with ELTEL NETWORKS S.A. Olsztyn and ZWSE Rzeszów Sp. z o.o. built on PETIJAN tubular poles a 220/110kV Leśniów - EC Zielona Góra line - 20 km in length. 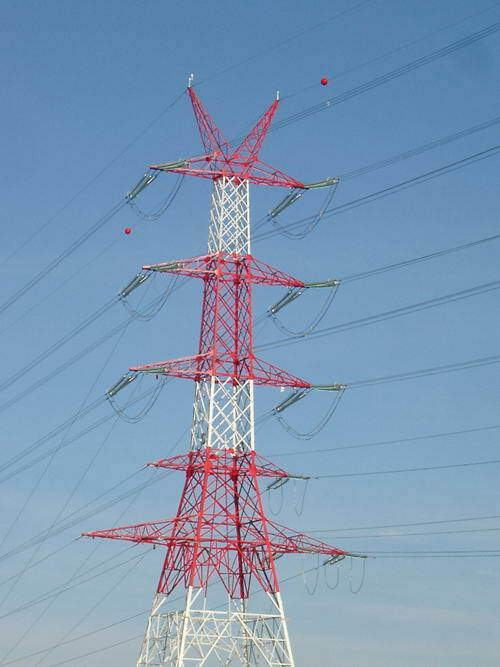 2006 - 2008 "SELPOL S.A. delivered installation works on 400kV lines in the Czech Republic, Slovakia, and France. 2008 "SELPOL S.A. started installing aluminium composite core conductors and trapezium-shaped wires, e.g. ACCC/TW and other wires with similar applications (e.g. ACSS, TACSR, ZTACSR, GZATACSR (GAP)). 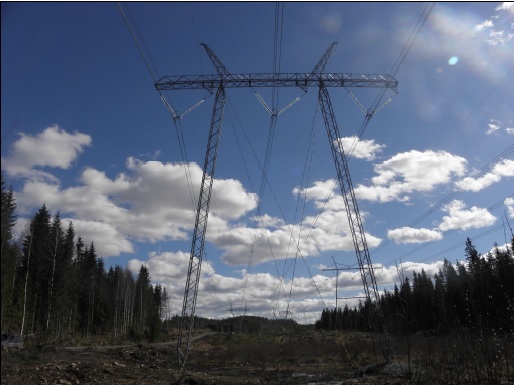 2007 - 2010 "SELPOL S.A. built 8 110kV lines in Finland. "SELPOL S.A. together with France's Bouygues Energies&Services built a 100km-long 400/110kV Yllikkala Visulahti line in Finland. 2011 - 2013 "SELPOL S.A. together with France's Bouygues Energies & Services built a 15km-long 450kV DC line in HELSINKI. 2013 - 2014 "SELPOL S.A. modernised 425kV lines in France. 2015 "SELPOL S.A., as consortium leader, in collaboration with ELFEKO S.A., PILE ELBUD S.A. and ZWSE Rzeszów Sp. z o.o., on 30.03.2015 completed the construction of a 400kV Miłosna - Siedlce Ujrzanów line and 400/110kV Siedlce Ujrzanów station. The line was designed by ISPOLPROJEKT Sp. z o.o. The project was co-funded out of the EU funds as part of the "Poland-Lithuania Electrical Power Bridge. "SELPOL S.A. conducted construction works on 63kV, 225kV, and 425kV lines in France. "SELPOL S.A. performed construction works and installed high-temperature conductors on a 330kV line in w Estonia. "SELPOL S.A installed 29 km of conductors on a double-track 400kV Ełk-Polish border line. The project was co-funded out of the EU funds as part of the "Poland-Lithuania Electrical Power Bridge". 2016 - 2017 "SELPOL" S.A. together with ZWSE Rzeszów Sp. z o.o. and PILE ELBUD S.A. has completely built the new part of 400kV switchgear and carried out the modernization existing 400kV / 110kV switchgears at the Płock substation. "SELPOL" S.A. has carried out conductor works on 35 km of the 400kV Olsztyn - Ostrołęka overhead line. "SELPOL" S.A. has carried out the complete construction of two 110kV lines and modernized six 110kV lines dedicated for with the connection of the wind farms. "SELPOL" S.A. has rebuilt two 110kV lines and a 220kV line in connection with the construction of the motorway S5 Poznań bypass . "SELPOL" S.A. has carried out the construction works on 42kV, 63kV, 225kV, and 400kV lines in France. 2018 "SELPOL" S.A. has carried out the construction works on 42kV, 63kV, 225kV, and 400kV lines in France. "SELPOL" S.A. has carried out under of a signed contract in Latvia, namely: Estonian-Latvian, third 330 kV interconnection power line construction. "SELPOL" S.A. has carried out under of a signed contracts, including on the 400kV line between Bydgoszcz Zachód - Piła Krzewina, 110 kV Brzesko - Wygoda line and 110 kV Cieśle-Bukowno line.